The birth of this powerful, balanced, easily manageable revolver rendered the Dragoon revolvers absolute in the 1860s. 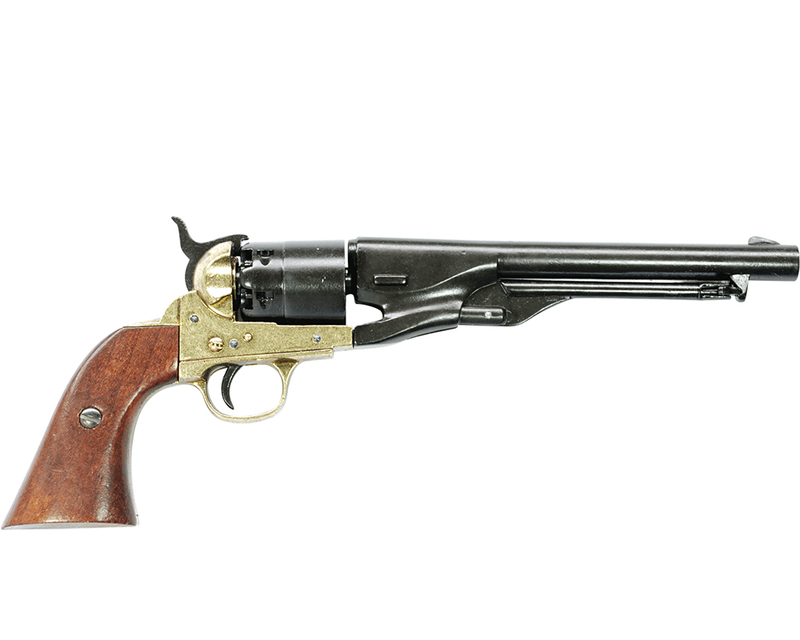 It was the main sidearm used by both sides of the Civil War and was also used by some the meanest gunmen of the times. 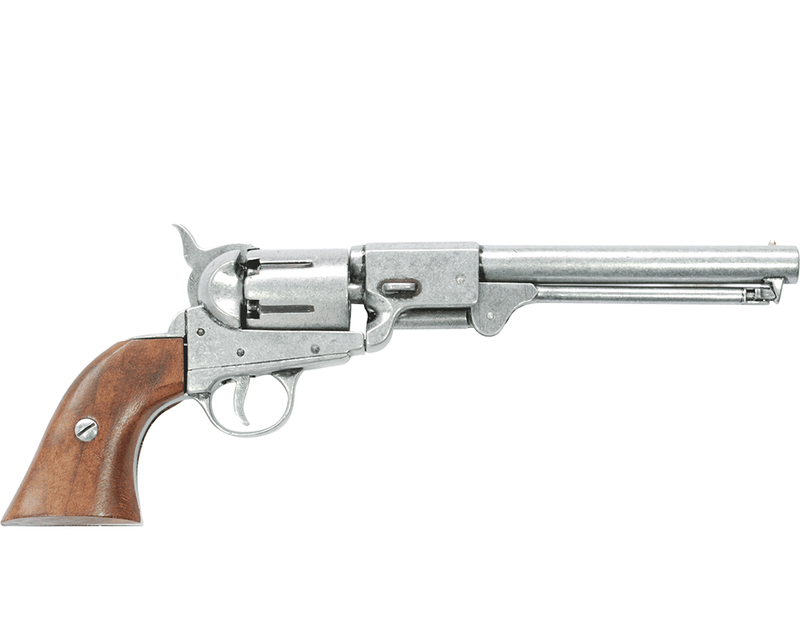 It was distinctive for its round 8" barrel and its powerful .44 caliber stopping power. Over 200,000 pieces were produced between 1861 and 1865. 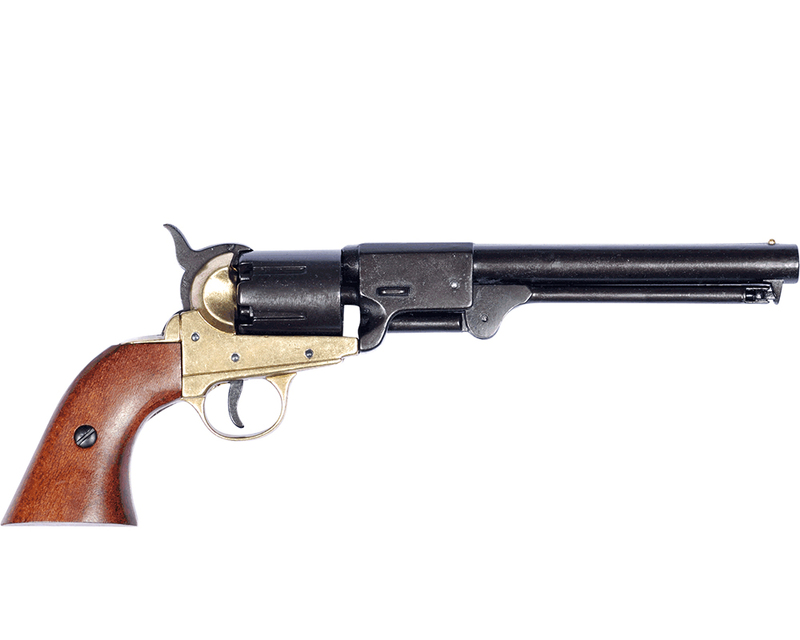 This non-firing replica has functional lock and loading mechanisms like the original. Made with real wood grips, blued barrel and simulated brass frame finishes. Overall length: 14''; Weight: 2.3 lbs.